Over the last few weeks stories of despair have appeared in the news and on social media regarding the plight of family diary farmers. Record low prices that don’t even cover the costs of production combined with cancelled processing contracts have hundreds of dairies throughout the country selling their milking herds and turning out the lights. Digital memes ask us to buy an extra gallon of milk or order extra cheese on our pizzas and tacos and when all else fails, there’s always thoughts and prayers. According to the USDA, the cost of milk production in the United State averaged $22.27 per hundred weight. [Note: milk is sold by the hundred-weight, abbreviated cwt. A gallon of whole, raw milk weighs 8.6 pounds so there are 11.63 gallons in cwt]. Unfortunately, the current price per cwt, which is set by the government based upon the commodity price of a 40-pound block of cheese on the Chicago Exchange, is currently around $11.75 cwt, about half of production costs. Unlike water faucets, cows cannot be turned off. Even when dry, meaning they are not in milk production, cows still must be fed, housed and bedded. Since many dairies have bred their cows for numerous generations to have the traits specific to that farm’s needs and environment, cows are not something that get bought and sold as prices for milk fluctuate. Add to that the personal interaction from twice daily milking, cows tend to become part of the family. When dairy farmers lose their cows, it cuts far deeper than merely losing a job. It’s no wonder dairy processors are including suicide hotline numbers along with dwindling milk checks and contract cancellation letters. The renaissance of artisan cheese and farmstead creameries can be directly attributed to the backlash to the “get big or get out” mentality of the USDA in the 1970’s. In the mid 1980’s rising costs and shrinking commodity prices brought about major agricultural losses spawning Farm Aid and other non-profit organizations geared toward helping farmers once again become profitable. When you purchase milk, ice cream, yogurt or cheese at Central Farm Markets, you are ahead of the pack and for that matter, so are the farmers. By choosing to bottle their own fluid milk or turn it into value-added products such as cheeses, yogurt, and ice cream that are retailed directly to customers, smaller dairies have been able to stay afloat and even thrive in the hostile commodity dairy arena. I spoke with a few of Central Farm Markets’ dairy product vendors to help our customers better understand the economics of small dairies, farmstead, and artisan creameries. “If we were milking cows to ship milk to a processor we might as well dump it down the drain,” said John Fendrick, the friendly face at Rock Hill Orchard at the Bethesda Central Farm Market. As many multi-generational dairy farmers were planning their exit strategy, John and his family chose to build a dairy from the ground up and in 2013 began milking a small herd of Guernsey cows, processing their own milk and selling directly off their farm and at market. They were the first new dairy to open in Montgomery County in over sixty years and are part of the county’s agricultural reserve. The final factor of Rock Hill’s success has been the return to diversified farming. Although customers only see bottled milk, ice cream and honey at the market, Rock Hill raises vegetables and fruits, including the ingredients for their ice cream flavors such as peach and ginger. If you want to compare the price of a cloth-bound and waxed cheddar to what is available at the grocery store, there’s no denying the hand-crafted wedge is going to be several times the cost of a plain, vacuum-sealed block from a national producer. Customers new to locally produced artisan cheeses sometimes experience sticker shock, however, the cost of the cheese is a more accurate reflection of the true cost of production. Farmstead and artisan cheese makers rely on the quality of their raw ingredient – the milk – which is dependent on multiple factors including the breed of cow (or goat or sheep) and how it is fed while producing milk. Once they have produced or purchased high-quality fluid milk, it must then be turned into cheese. According to Susan James, proprietor of Stonyman Gourmet Farmer (at all CFM markets), there are many factors that go into producing fine cheeses. “It depends on the breed of cows, what they are eating, how they are kept,” she began. Small-scale cheesemaking requires a significant investment in a plant and approved stainless steel or copper vats. Some types of cheeses, such as soft, fresh cheeses require a pasteurizer – a very costly piece of equipment. Add in cultures, inoculants, coagulants, salts, cheese molds, presses and specialized tools such as curd cutters, cheddar mills, bluing needles and production costs on top of the milk begin to grow. Hold on, there’s more. Once the cheeses are made, molded and pressed, affinage (aging) begins. This is much more than simply setting blocks or wheels on a shelf. Storage must be in temperature and humidity-controlled environments and each cheese must be regularly inspected to ensure it has not contracted any rogue bacteria, fungus or mites. Some cheeses are washed in beer or wine, some brined in large tanks with special salts, others rubbed with olive oil or lard and some sprayed with an additional inoculant all to develop an outer rind. “There is a big difference between a wine that is two years old versus one that has aged for ten years to develop character. The same is true for cheese. Affinage can turn a good cheese into a great cheese,” explained Susan James. For producers of raw-milk cheeses (meaning the milk is not pasteurized prior to production), their products must be aged a minimum of 60 days to meet FDA requirements. That is two full months before the producer can begin to recoup their costs. The bottom line is that storage costs money. When the time comes to sell, add in cutting, packaging, labeling, and getting the cheese to the customer. Those expenses add up and must be reflected in the final cost of the product. The question of why dairy producers go to great lengths is often asked. Dairy farmers are by far the most passionate agriculturalists there are. They will work full-time jobs in addition to farming and cheesemaking (both full-time jobs in their own right) to afford their craft while building a business. Their livelihoods are dependent upon nature – the weather, the seasons, their livestock. One common thread in successful dairy producers is their fierce independence and dedication to their craft. The vendors at farmers markets who offer dairy products have overcome incredible odds in an environment where the deck has been stacked against small producers. They have survived and thrived because of customer support and thanks to you, they are here to stay. Yesterday (March 20) was the first day of spring and the picture above was the view outside my window as I sat down to write. “No, there are not any fresh pastured chickens available,” I will be telling customers for the next two months. Compared to last year, this winter has not been very nice to the farmers, yet we have managed to do our best to keep the local foods flowing despite polar vortices, rainy weather and frigid windy conditions. Driving a box truck on the highway in gusts of fifty miles an hour is a white-knuckle adventure. Forget setting up a tent shade or risk losing a piece of equipment that will cost hundreds, if not more, to replace. Seriously. Did you see that walk-in outfit The Mushroom Stand had in the twenty-degree weather to shield their fragile fungi from the frigid cold? Add to that the cost of a propane heater rig and the fuel to fire it off for hours. But we’re trying to usher in the new season…we promise. Here are some of the ways in which the Central Farm Markets vendors are working hard behind the scenes to bring you the best possible products from the mid-Atlantic region. New greenhouses are being set up. Existing ones are full of flats in which seeds are quickly germinating into young starts that will be planted into the fields now being plowed even if the farmers must bundle up in several layers to fend off frosty conditions. Next will come miles of black plastic mulch to deter weeds and eliminate the need for herbicides. Mulch also helps retain soil warmth and moisture. Tomato stakes will be pounded into the ground, floating row covers prepared to unfurl and weight down, and netting set up to protect succulent berries from being decimated by birds. Orchard crews have been busy pruning trees and canes to promote larger fruits and prolific berry production. Planning for years ahead, not just seasons, orchardists – especially those who produce artisan ciders – are grafting heirloom varieties of apples and pears found by exploring old hedgerows in former orchards spanning the last two centuries. While most fruit and vegetable operations can function with a core crew over the winter months, farms are labor-intensive and require the use of seasonal labor which means hiring people in addition to the current workload. With several of the Central Farm Markets vendors being Certified Organic, spring also brings lots of paperwork. This is the time of the year when Certified Organic farms must submit their annual review which includes an updated field plan of what will be grown and the types of fertilizers and compost used. For a diversified fruit or vegetable farm these documents are incredibly detailed and complex, taking weeks of office time to complete. To get livestock from our pastures to your plates involves far more than most customers understand. Prior to an animal stepping on the trailer for its final trip before going to market in a plastic bag, there are a multitude of seasonal activities, especially in spring. If the animals have not already been born over the winter months, the pregnant females are waddling around ready to pop with the first greening of the grass. Birthing babies is a 24/7 venture leaving farmers bleary-eyed whether they are bound for the fields or market. But before that grass can get green, farmers need to be out there fertilizing which usually involves lots of manure, soiled bedding such as straw and plenty of saddle time on their tractor hauling a manure spreader. Other types of spreaders we’ll tow around include a lime spreader (the white powder, not the green citrus) and a seed spreader. There are also things such as spring-toothed harrows to scratch up the soil so seeds have nooks and crannies into which they can fall so they are not blown away by the wind or eaten by birds, a drag or cultipacker to cover the seeds or even a seed drill which puts seeds into the ground at a specific depth for optimal germination. And then there are chickens which begin arriving in the mail as day-old peeps. Order too soon and by the time they are done in the brooder (the enclosed, heated area where they go from being fluffy to feathered), the weather is still too cold to put them outside on pasture. They will eat food to stay warm, not grow. A scrawny broiler is a loss for both farmer and customer. With the main market season now less than a month away, all the vendors are taking inventory of their equipment, fixing what needs to be fixed and replacing the worn out and broken. Trust me, setting up and taking down signs, banners, tents, shades and tables combined with the jostling in and out of vehicles puts quite a beating on the equipment. Prepared food vendors are renewing requisite licenses and reviewing the regulations to ensure their food preparation set-ups meet all the federal, state and municipal health codes. There is a flurry of activity to communicate with customers, be it social media, newsletters, or blogs. Customers want to know what’s going on both at the farms and markets. If you haven’t already done so, sign up for the Central Farm Markets weekly eBlast to stay in touch or follow us on Twitter, Facebook and Instagram. And don’t worry, spring is on the way. We promise. Another week with multiple celebrations! Today we start out with math geeks and bakers favorite – Pi Day. Growing in popularity, this new national holiday was recognized by Congress in 2009. Pi Day – March 14th (aka 3.14) – was first celebrated in 1988 by Larry Shaw, a physicist at the Exploratorium, an interactive science museum in San Francisco. Shaw thought the date fortuitous as it was also Albert Einstein’s birthday. The first party included circular themes, a circular parade and pie-eating festivities. This modern holiday offers nerds the opportunity to crack math puns as well as a great excuse to bake and eat pie. What do you get when you take a bovine and divide it by its circumference? But what does pi have to do with pie? In mathematics, pi is the constant ratio of a circle’s circumference to the diameter. The Greek letter denoting pi is derived from the Greek word for circumference – perimetros. Pies are the perfect way to celebrate Pi Day because they are circles. Silly as it may sound, the discovery of pi is considered one of the greatest mathematical achievements leading to the creation of modern engineering and architecture. So, bake up a pie today for Pi Day. If pie isn’t your thing, there’s still another cause for celebration this week – Saint Patrick’s Day. Not Irish? Don’t worry, neither was Saint Patrick; he was a Roman Briton who was kidnapped by pirates as a teenager and sold into slavery in Ireland to tend sheep. After escaping, he returned to Wales and then traveled to France where he became a priest before returning to Ireland where he was a missionary for forty years. Saint Patrick’s Day didn’t even originate in Ireland – it began in 1737 with the Charitable Irish Society in Boston. It was basically a big party among a group of Irish immigrants in the Massachusetts colony to celebrate their heritage and to promote unity within the community. Given the revelry with rowdy parades and drinking, the tradition caught on and has expanded globally as a way for the Irish to celebrate their ancestry and for others to wear green, get pinched for not wearing green, to bake soda bread, eat corned beef and cabbage, and of course, tipple some Irish whiskey with a shamrock floating on top for good luck. As with most celebrations, food plays an integral part of Saint Patrick’s Day. Chances are this holiday would not have come about if it weren’t for a blight-causing mold which led to famine in the Emerald Isle after four consecutive years of crop failure beginning in 1845. By 1850, over a million poor Irish – considered refugees – relocated in the United States, overwhelming cities on the eastern seaboard. Corned beef and cabbage are not traditional Irish foods but were what immigrants substituted in place of their traditional bacon and lamb, which were costly in late nineteenth-century America. In Ireland, cattle were valuable as draft animals and not slaughtered for food unless injured or old. Beef was considered a luxury. However, in the United States, beef was plentiful and relatively inexpensive. To feed large groups of people, Irish immigrants turned to beef brisket – the cheapest large cut of meat that cured well in coarse salt – the “corns” – and cabbage as an alternative. Similarly, soda bread did not become an Irish staple until after 1843 when baking soda became commercially available as an alternative leavening agent. When combined with the lactic acid in soured milk, tiny bubbles of carbon dioxide formed to raise the dough. It was a creation designed to utilize poor quality wheat during the potato famine and large quantities of bicarbonate were distributed to the underprivileged as it was much less expensive than yeast. Creameries were able to sell what was essentially a waste product – old milk – to the impoverished so they could make bread using soda. Modern recipes call for buttermilk, yogurt and even stout beer to provide lactic acid. If you want to give Irish Soda Bread a try this Saint Patrick’s Day, here’s a recipe from The Art of Irish Cooking by Monica Sheridan (1965). Mix the whole wheat flour thoroughly with the white flour, salt, and baking soda. Make a well in the center and gradually mix in the liquid. Stir with a wooden spoon. You may need less, or more liquid – it depends on the absorbent quality of the flour. The dough should be soft but manageable. Knead the dough into a ball in the mixing bowl with your floured hands. Put on a lightly floured baking sheet and with the palm of your hand flatten out in a circle 1 1/2 inches thick. With a knife dipped in flour, make a cross through the center of the bread so that it will easily break into quarters when it is baked. Bake at 425 degrees for 25 minutes, reduce the heat to 350 degrees and bake a further 15 minutes. If the crust seems too hard, wrap the baked bread in a damp tea cloth. Leave the loaf standing upright until it is cool. The bread should not be cut until it has set – about 6 hours after it comes out of the oven. Over the years I’ve received about every question one could ask – are your products grass-fed, organic, humane, biodynamic, local, sustainable, vegetarian-fed, predator friendly, non-GMO? The answers always serve as a teaching moment to explain the importance, hype and impact which precipitated the question. But last Sunday was the first time anyone asked if my stuff was “Fair Trade.” Before I could offer my explanation, the customer threw up her hands in exasperation, spun on her heels and stormed away. 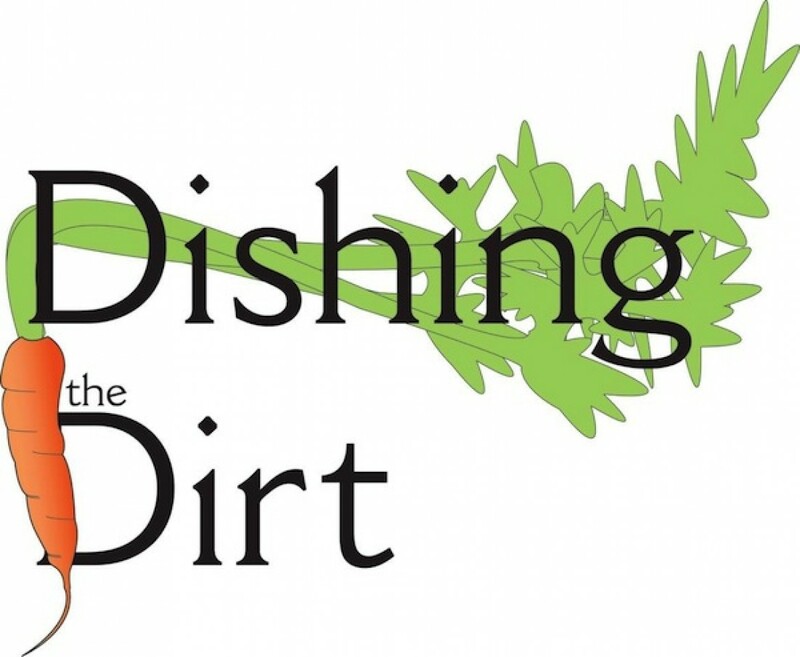 Ma’am, if you are reading this week’s Dishing the Dirt blog post, it’s dedicated to you. Fair Trade began as a social movement to help producers in developing countries cultivate better trading conditions and to promote sustainable agricultural practices. Fair Trade products Central Farm Markets customers most likely encounter are coffee, chocolate, tea, spices and sugar. Farmers are paid an equitable price for their goods covering the cost of production plus a profit to ensure a decent standard of living. Similarly, living wages for workers is factored into the cost. Neither slave or child labor is used in the production. There are working hours and conditions standards for safety and healthy. To sustainably manage resources to benefit the environment. The Fair Trade movement has been around since the 1940’s, and was officially recognized by the United Nations in 1968. As it has matured, offshoots promoting specialized agricultural practices such as shade-grown (better for birds, less chemical use) as well as social justice causes (women-owned cooperatives). Since Fair Trade only involves imported goods, one will not find Fair Trade produce or meat products at Central Farm Markets. The proper questions to ask should focus on domestic third-party certifications. Here are a few to consider. Keep in mind that many of the producers who opt for third-party certifications are often selling to retailers in addition to participating in regional farmers markets where they are interacting directly with their customers. Third-party certifications are a tool in remaining competitive in a wholesale environment and often required by retailers. Each certification requires extensive record-keeping, which for mid-sized farms might mean hiring an extra person just to do the paperwork. Smaller farms may not have the income to pursue third-party certifications or prefer to devote their resources to tangible agricultural practices, such as infrastructure, training and quality of life. For our customers, if you are concerned about our agricultural practices, just ask us, and please be prepared to listen to our answers. We’ll feed your mind, as well as your body.